Steelwrist is well known as a manufacturer of tiltrotators and quick couplers, but has recently announced that it is now releasing a range of tools designed for quick and easy demolition and recycling attachment tool changes. 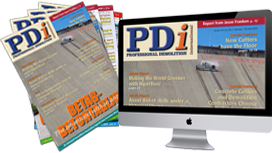 The increasingly international focus of the company has also seen it establish its own US subsidiary in Berlin, CT.
Over the last decade or so, every professional excavator operator has learnt that fully automatic quick coupling hydraulic systems are now a powerful and competitive asset in the demolition and recycling industry. As the demands for increased safety, efficiency and improved material separation in the workplace has become more prominent, the need to change tools more often has also increased. This has correspondingly increased the demands placed on demolition and recycling equipment, especially in ‘heavier’ applications. Today, modern operators strive to get in and out of the excavator as little as possible to change tools. When there is a real need, the break in work needs to be as short as possible, with little oil spill, and with a small a risk as possible of injury to anyone. Ultimately, this needs to be accomplished efficiently and with flexibility. Historically, in the demolition and recycling context, four automatic quick coupling systems have dominated the market: Likufix, VarioLock and OilQuick with OilQuick being the biggest. In the European Nordic markets, OilQuick is considered to be highly advanced and has dominated the market to date. The Likufix system is owned by Liebherr, and is strong in German speaking markets, with a correspondingly strong link to operators of Liebherr excavators. Lehnhoff, currently owned by Komatsu, manufactures VarioLock. OilQuick is a particularly well known system, being a particularly appreciated quick coupler system among heavy demolition contractors, especially in Europe. Engcon, as with OilQuick, is a Swedish manufacturer, and has developed EC-Oil. This is being used by demolition contractors increasingly in Nordic countries, but OilQuick's more advanced system dominates the market. What generally differentiates the fully automatic quick couplings is the design, which effectively divides the four manufacturers into two groups. This is most clearly apparent in the locking mechanism itself for when the quick coupling closes and the connections are being protected. Likufix and VarioLock's ‘female sides’ of the connection are exposed horizontally, while the OilQuick and EC-Oil's ‘female sides’ in the coupling are vertically exposed. The vertical locking function has proved preferable as it more efficiently prevents dust and harmful particles getting into the sensitive parts of the system. A new development was seen in 2017 which shook up the market. 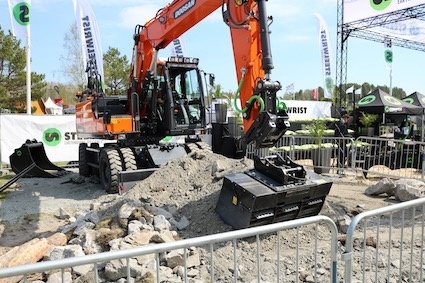 A new Swedish manufacturer appeared, Steelwrist, with a new automatic quick coupling system, which also possesses a vertical locking function which better protects the sensitive connection area. Steelwrist itself is not a new company, and has manufactured and sold a series of tiltrotators, quick hitches and mechanical and hydraulic attachments since 2005. Its new quick coupling system is called the SQ, and offers quick and safe tool replacements in just a few seconds directly from the cab. Initially the products were launched solely to the Swedish market, but success has seen the range now available internationally. Since 2017 Steelwrist has operated its own US subsidiary with sales, service and stock in Berlin, CT. In April 2017, Steelwrist launched its SQ series consisting of automatic quick couplers, tiltrotators and adapter plates, which were followed in the autumn of 2017 with the launch of the Qplus switching technology. Both the SQ Series and Qplus are fully compatible with OilQuick’s OQ hitches. In order to make operation as efficient and easy as possible for contractor and operators, Qplus maximises oil flow, prolongs operating time and enables easier service when compared to alternative solutions. Steelwrist automatic oil couplers follow the internationally expanding symmetrical standard, and possess a wedge lock system to ISO 13031: 2016. 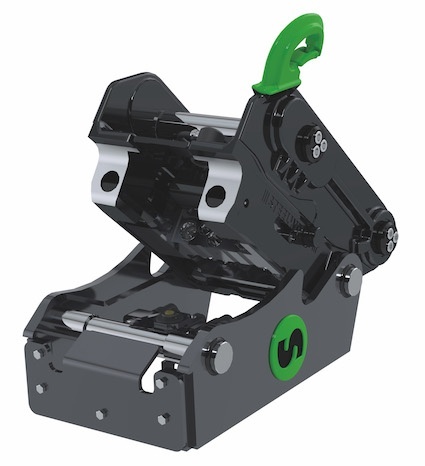 In addition to complying with ISO 13031: 2016, Steelwrist brackets and tiltrotators also include the patented ‘front pin lock’ technology, which increases operator safety through ensuring that the attachment is not ‘lost’. 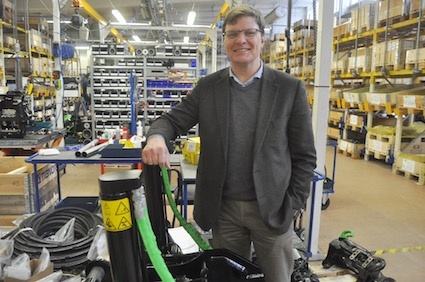 In order to find out more about the company’s recent developments and news, PDi's editor recently had the privilege of meeting the company's founder and chief executive, Stefan Stockhaus, and the company's US sales coordinator Sofia Danielsson, at Steewrist's plant in Sollentuna, north of Stockholm, Sweden. The tool attachment market has traditionally limited customer choice. Depending on which standard system contractors in different countries choose, the user is bound to that standard without many alternatives. With its new SQ series and Qplus, Steelwrist has sought to simplify this for the contractor by making its system compatible with OilQuick. However, when a similar name as OilQuick was chosen, namely OQ, this was not warmly welcomed. “Our intention was to make it easy for the customers to know which products are compatible with each other, and to build an international standard for automatic oil connections. This proved to be very sensitive to OilQuick AB's management, who chose to apply for trademark registration of OQ the day after our product launch. We therefore chose to change product designations to Steelwrist SQ. We have received a great reception since the product launch and for us, the name is not important, since we believe that customers already understand that Steelwrist SQ is fully compatible with OilQuick OQ,” says Stefan Stockhaus. Steelwrist did have an alternative solution to not making a compatible system, but this was rejected. “The world does not need a new connection system. Instead the excavator owner needs a cost effective standardised solution for easy replacement of work tools. Now, we focused on making the product even better while maintaining compatibility,” says Stockhaus. What is even more interesting is what Steelwrist has accomplished with the Qplus inside couplings’. Since initial production of the series began, the connections have been further developed so that flow capacity has been substantially increased. Depending on the coupling size, the flow area has been increased by up to 37%, whilst a completely new sealing method has also been introduced. In addition to improved oil flow, the customer also benefits through increases in operational time, as the time required between sealing changes has increased. Essentially, the change is now much easier and faster than previously, and without the need for special tools. “We are now building up production capacity further to meet demand, and Qplus is standard in all SQ deliveries since November, 2017,” says Stockhaus. Today, Steelwrist's fully automated quick couplers include SQ auto connect systems in three sizes: SQ60 for 12t-20t excavators, SQ70 for excavators between 18t-33t and SQ80 which was launched in May 2018 for excavators between 25t-43t. “It is in this segment that our automated quick couplings become really interesting for the demolition and recycling market,” says Stockhaus. The investment in a fully automated quick coupling system for a demolition or recycling contractor results in a significant increase in both efficiency and safety in the workplace. It is also considerably more environmentally friendly, as any oil spill is radically decreased. The amount of sorting at the worksite can be increased through the easy use of several types of attachments. For the contractor however, the first thought is cost. The pricing levels of the existing systems vary in terms of function and price. It is probably a truism that for many years manufacturers have not invested in developing or simplifying their solutions, or in making them more cost efficient. Steelwrist approached this head on and, with its new fully automated quick coupling system, and Qplus, has delivered a solution with a significantly lower purchase price in comparison to the big selling OilQuick. Additionally it possesses a higher degree of simplicity in order to replace, for example, seals without recourse to special tools.